In traditional photography terms, high key refers to a style of lighting that is bright, homogenous and airy, with few or no shadows. Because early screens weren’t able to reproduce high contrast very well, the style was frequently used in early films and television shows. Today it is much more of a creative choice used to imbue a photograph with a light, upbeat and whimsical mood. Genres that usually call for high key lighting are fashion and portrait photography but it can be used for pretty much any subject or scene that you want to give an airy feel to. 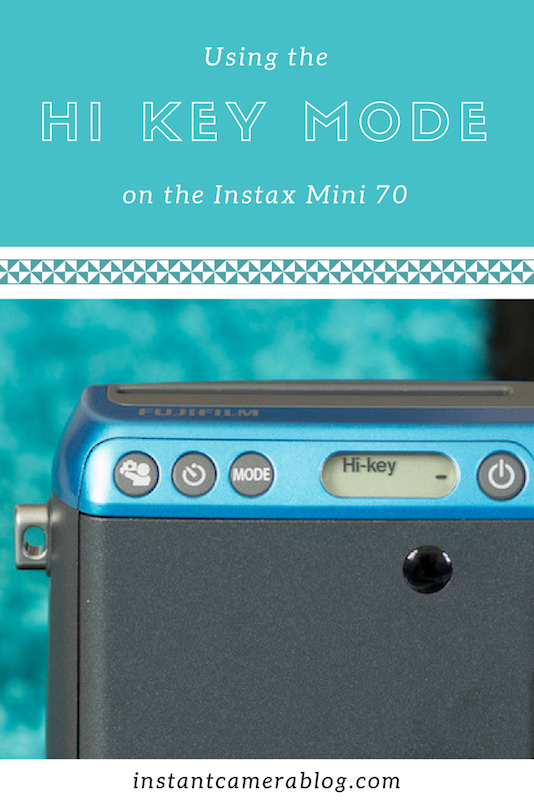 In the case of the Mini 70, the Hi Key mode is there so that you can achieve a brighter result than with the other modes. It is especially useful for low light scenes – such as interiors or shady outdoor locations – or selfies if you want to wash out skin imperfections. Note for the techies: Hi Key raises the exposure (brightness) of the image by +2/3 EV. Because Hi Key raises the brightness, it should always be avoided in places that are already very well lit by natural light. This means any outdoor scene on a cloudy-bright or sunny day. Scenes like this usually turn out very bright even without Hi Key, so activating the mode could potentially overexpose the image, or turn it completely white. Also important is that Hi Key alone isn’t enough to brighten an image in very dark locations, such as a city street at midnight. If there is little to no ambient light, you must place a clear subject in your frame that is within reach of the flash (max. 2.7m away). Otherwise you’ll end up with an underexposed (dark) print. Activating Hi Key on the Mini 70 is really simple. 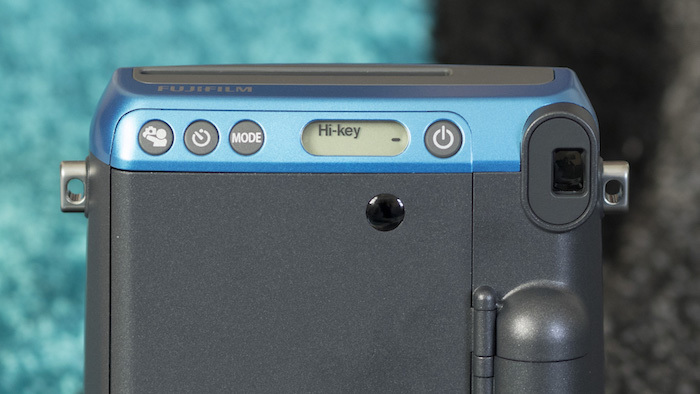 After turning the camera on, simply press the MODE button multiple times until the LCD screen displays Hi Key. (Four presses of the button is the norm!) At this point, you can press the shutter button to take a shot – and that’s all there is to it! 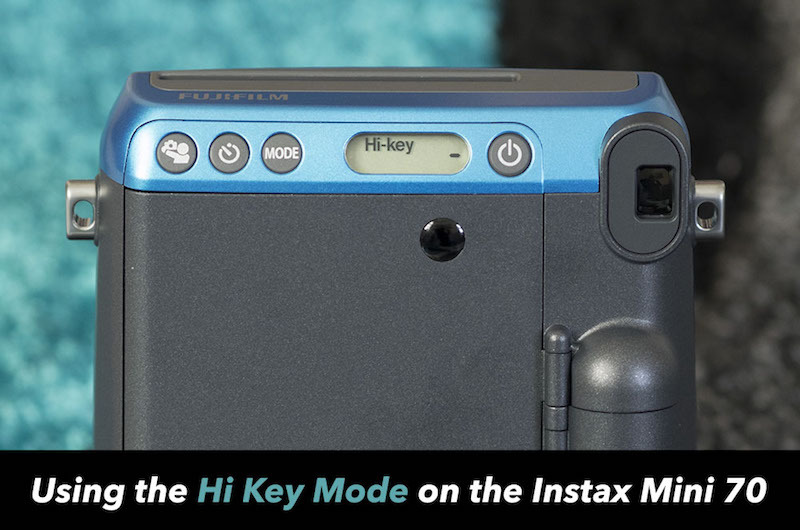 Note: you cannot use Hi Key in conjunction with any of the other modes. 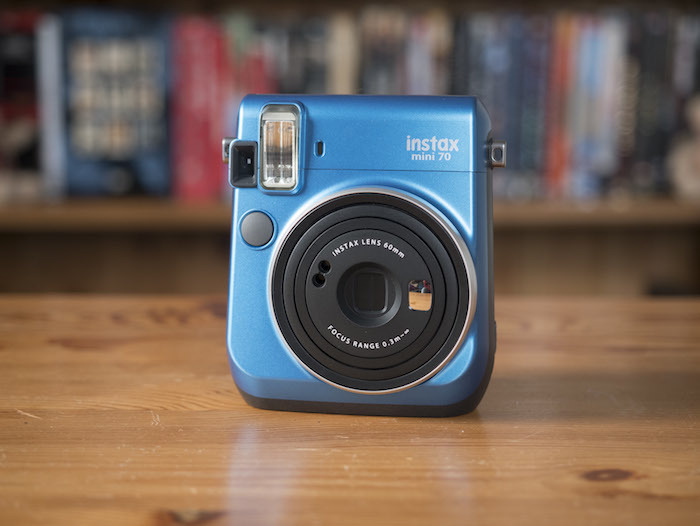 Have you experimented with the Hi Key mode on the Instax Mini 70? If so, we’d love to see some of your images in the comment section below! Enjoyed this article? Why not take a moment to pin it!